Lucy Stanton is on a mission that's out of this world. The MissionLucy Stanton is on a mission that's out of this world. Hello everyone! Thank-you for visiting my Rocket Fuel mission, the beginning of my singing adventure! I am currently studying at the University of Warwick, and as much as I enjoy it, I would rather be on a path to furthering my passion of singing! This is where Rocket Fuel comes in! With the help of family and friends, I hope to raise enough funds to reach my goals with rocket fuel, the first...TO RELEASE MY FIRST SINGLE! There are many ways that you could help to support me, from a small one-time donation, to booking me at a gig! You can also help by supporting me on a monthly basis, in which I will provide these loyal fans with monthly rewards! Have a browse at the products on my page and see what you can get from supporting me! I look forward to sharing my adventure with my supporters! Each month I shall send an exclusive update about how I am getting on with my mission, including anything I have learned and what experience I have gained, and sharing how your support has helped me! Look forward to a bag of my favourite sweets being sent out to you every month with a personal handwritten note! A handmade knitted (by me!) heart decoration to hang wherever you please! Each month I'll record an exclusive cover for your ears only! Just let me know if you have any requests! Address Line 1 Address Line 2 Town/City Postcode Country AfghanistanAlbaniaAlgeriaAmerican SamoaAndorraAngolaAnguillaAntarcticaAntigua and/or BarbudaArgentinaArmeniaArubaAustraliaAustriaAzerbaijanBahamasBahrainBangladeshBarbadosBelarusBelgiumBelizeBeninBermudaBhutanBoliviaBosnia and HerzegovinaBotswanaBouvet IslandBrazilBritish lndian Ocean TerritoryBrunei DarussalamBulgariaBurkina FasoBurundiCambodiaCameroonCanadaCape VerdeCayman IslandsCentral African RepublicChadChileChinaChristmas IslandCocos (Keeling) IslandsColombiaComorosCongoCook IslandsCosta RicaCroatiaCubaCyprusCzech RepublicDenmarkDjiboutiDominicaDominican RepublicEast TimorEcuadorEgyptEl SalvadorEquatorial GuineaEritreaEstoniaEthiopiaFalkland Islands (Malvinas)Faroe IslandsFijiFinlandFranceFrance, MetropolitanFrench GuianaFrench PolynesiaFrench Southern TerritoriesGabonGambiaGeorgiaGermanyGhanaGibraltarGreeceGreenlandGrenadaGuadeloupeGuamGuatemalaGuineaGuinea-BissauGuyanaHaitiHeard and Mc Donald IslandsHondurasHong KongHungaryIcelandIndiaIndonesiaIran (Islamic Republic of)IraqIrelandIsraelItalyIvory CoastJamaicaJapanJordanKazakhstanKenyaKiribatiKorea, Democratic People's Republic ofKorea, Republic ofKosovoKuwaitKyrgyzstanLao People's Democratic RepublicLatviaLebanonLesothoLiberiaLibyan Arab JamahiriyaLiechtensteinLithuaniaLuxembourgMacauMacedoniaMadagascarMalawiMalaysiaMaldivesMaliMaltaMarshall IslandsMartiniqueMauritaniaMauritiusMayotteMexicoMicronesia, Federated States ofMoldova, Republic ofMonacoMongoliaMontenegroMontserratMoroccoMozambiqueMyanmarNamibiaNauruNepalNetherlandsNetherlands AntillesNew CaledoniaNew ZealandNicaraguaNigerNigeriaNiueNorfork IslandNorthern Mariana IslandsNorwayOmanPakistanPalauPanamaPapua New GuineaParaguayPeruPhilippinesPitcairnPolandPortugalPuerto RicoQatarReunionRomaniaRussian FederationRwandaSaint Kitts and NevisSaint LuciaSaint Vincent and the GrenadinesSamoaSan MarinoSao Tome and PrincipeSaudi ArabiaSenegalSerbiaSeychellesSierra LeoneSingaporeSlovakiaSloveniaSolomon IslandsSomaliaSouth AfricaSouth Georgia South Sandwich IslandsSpainSri LankaSt. HelenaSt. Pierre and MiquelonSudanSurinameSvalbarn and Jan Mayen IslandsSwazilandSwedenSwitzerlandSyrian Arab RepublicTaiwanTajikistanTanzania, United Republic ofThailandTogoTokelauTongaTrinidad and TobagoTunisiaTurkeyTurkmenistanTurks and Caicos IslandsTuvaluUgandaUkraineUnited Arab EmiratesUnited KingdomUnited States minor outlying islandsUnited States of America (USA)UruguayUzbekistanVanuatuVatican City StateVenezuelaVietnamVirgin Islands (British)Virgin Islands (U.S.)Wallis and Futuna IslandsWestern SaharaYemenYugoslaviaZaireZambiaZimbabwe Home phone Mobile number I consent to Lucy Stanton sending me marketing emails. Thank you for supporting Lucy Stanton! I am 19 years old, studying Sociology and the University of Warwick. However, singing is my passion, and what I want to peruse as a career! 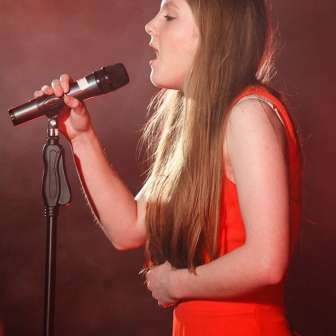 I have performed at many different venues, including the NEC in Birmingham, where I got to the Grand Finals of TeenStar! This was an amazing experience, and the support I got was overwhelming! It gave me confidence in myself to know what a big fan base I already have! With your help, I will be able to get in the studio, recording songs for you to enjoy!